ransomware a type of malicious software designed to block access to a computer system until a sum of money is paid. Ransomware is a type of malware that prevents or limits users from accessing their system, either by locking the system’s screen or by locking the user’s files unless a ransom is paid. 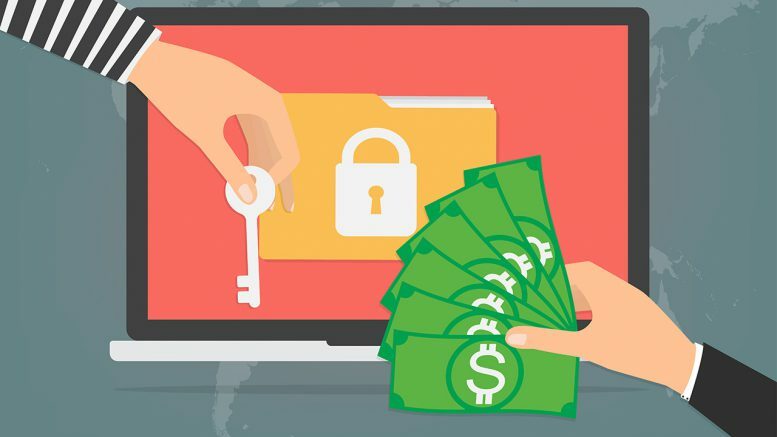 More modern ransomware families, collectively categorized as crypto-ransomware, encrypt certain file types on infected systems and forces users to pay the ransom through certain online payment methods to get a decrypt key. Ransomware prices vary depending on the ransomware variant and the price or exchange rates of digital currencies. Thanks to the perceived anonymity offered by cryptocurrencies, ransomware operators commonly specify ransom payments in bitcoins. Recent ransomware variants have also listed alternative payment options such as iTunes and Amazon gift cards. It should be noted, however, that paying the ransom does not guarantee that users will get the decryption key or unlock tool required to regain access to the infected system or files. In order to infect the PC by ransomware, the attackers need to infiltrate and execute the malicious ransomware file on the computer. This is typically done through a phishing email that contains a malicious download link or an attached fake credit report, delivery notification, fake billing document, debt collection invoice or other catchy information. Ransomware virus can also infect the computer through an exploit kit that is often spread via compromised websites, freeware and adware applications, or using spam Facebook messages with attached images or videos. It can also arrive as a payload downloaded by other malware. Once executed in the system, ransomware can either lock the computer screen, or, in the case of crypto-ransomware, encrypt predetermined files. In the first scenario, a full screen image or notification is displayed on the infected system’s screen, which prevent victims from using their system. This also shows the instructions on how users can pay for the ransom. The second type of ransomware prevents access to files to potentially critical or valuable files like documents and spreadsheets. Cases of ransomware infection were first seen in Russia between 2005-2006 (detected as TROJ_CRYZIP.A), that zipped certain file types (DOC, XLS, JPG, ZIP, PDF and other commonly used file extensions) before overwriting the original files. It created a text file that acted as the ransom note informing users that the files can be retrieved in exchange for 300 dollars. Ransomware infections were initially limited to Russia, but its popularity and profitable business model soon found its way to other countries across Europe. By march 2012, specialists observed a continuous spread of ransomware infections across Europe and North America. In late 2013, a new type of ransomware emerged that encrypted files, aside from locking the system. The encrypted files ensured that victims are forced to still pay the ransom even if the malware itself was deleted. Due to its new behavior, it was dubbed as CryptoLocker. Like previous ransomware types, crypto-ransomware demands payment from affected users, this time for a decrypt key to unlock the encrypted files. Although the ransom note in CryptoLocker only specifies RSA-2048 as the encryption method used, analysis shows that the malware uses AES + RSA encryption. RSA is asymmetric key cryptography, which means it uses two keys. One key is used to encrypt the data and another is used to decrypt the data (one kay, called the public key, is made available to any outside party; the other is kept by user and is called the private key). AES uses symmetric keys, which uses the same key to encrypt and decrypt information. Another file-encrypting ransomware type soon came into picture. The crypto-ransomware known as CryptoDefense or Cryptorbit encrypts database, web, Office, video, images, scripts, text, and other non-binary files, deletes backup files to prevent restoration of encrypted files, and demands payment for a decrypt key for the locked files. Ransomware soon began to incorporate yet another element: cryptocurrency theft. This variant can steal information from various cryptocurrency wallets (Bitcoin, Electrum, MultiBit). These files contain important information such as transaction records, user preferences, and accounts. The Angler exploit kit was one of the more popular exploit kits used to spread ransomware, and was notably used in a series of attacks through popular media such as news websites. A new variant of ransomware threats surfaced that leverages the Windows PowerShell feature to encrypt files. Cybercriminals use this feature to make threats undetectable on the system and network. The new ransomwares ride on patched malware to infect systems. Patched malware is any legitimate file that has been modified via addition or injection with malicious code. These ransomware are also notable for infecting user32.DLL, a known critical file. Infecting a critical file can be considered an evasion technique as it can help prevent detection by behavioral monitoring tools due to whitelisting. Earlier crypto-ransomware types targeted . DOC, .XML, .JPG, .ZIP, .PDF, and other commonly used files to encrypt. Cybercriminals have since included a number of other files types critical to businesses, like database files, website files, SQL files, tax related files, CAD files, and Virtual desktop files. After the shift to crypto-ransomware, the extortion malware has continued to evolve, adding features such as countdown timers, ransom amounts that increase over time, and infection routines that enable them to spread across networks and servers. Though ransomware routines are not altogether new, they still work and so are still used by operators. Ransomware variant WannaCry/WCRY, which originally spread via malicious Dropbox URLs embedded in spam, took an unexpected turn. It began exploiting a recently patched vulnerability in the SMB Sever, thus resulting in the biggest ransomware attack to date. Have an anti-virus, anti-spam, web-security installed on systems. Monitor user activity, monitor system an d network activity. Be the first to comment on "RANSOMWARE"